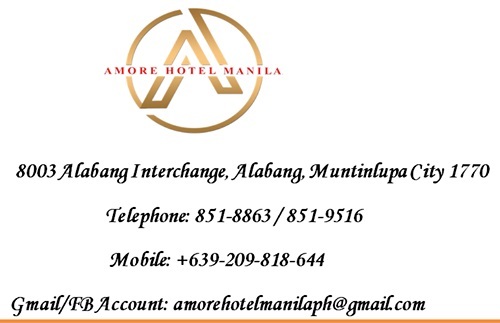 Home Miss Amore Philippines Miss Amore Philippines Pageant - "Spreading Love Through Beauty"
Miss Amore Philippines Pageant - "Spreading Love Through Beauty"
AMORE HOTEL Manila brings you the first Miss Amore Philippines 2019 pageant. This spectacular new pageant is produced by Mr. and Mrs. Rommel and Donna Abanto and well-known (Asia’s Fashion Icon Stylist) and National Director Mr. Edwin Rosas Visda. Miss Amore Philippines 2019 will showcase the beauty, diversity, intelligence and promotes equality amongst all candidates. Grand coronation night will be on February 2019 and the date and venue to be announced. Primarily, the pageant celebrates all levels of love to humanity with the tag-line “Spreading Love Through Beauty”. The competition that has traditionally focused on judging and ranking the physical attributes of the contestants, although most contests have evolved also to incorporated personality traits, intelligence, talent and answers to judges questions as judged criteria. This competition sets new standards that will open doors promoting equality. The organizer of each pageant determine the rules of the competition, including the range of contestant. Pioneered by well-known experts in the fashion Industry and Entertainment World in the country. Get the chance to be the first Miss Amore Philippines 2019. Plenty of work, time and walking in heels goes into becoming the very first Miss Amore Philippines 2019. So winners deserve more than dozens of roses and crown. But what does the 2019 Miss Amore Philippines winner gets beside the crown? Yes, the title wins the candidates tons of Fame and recognition but there's even more at stake. Miss Amore Philippines 2019 gets to go home with a number of prizes in cash and in kind. The grand winner will receive 200k worth of prices plus crown, sash, scepter and more. "Miss Amore Pragma"- described as the level of love that is beyond physical that has aged, matured and developed overtime. "Miss Amore EROS"- describe as the level of love that is passionate and the most intense form of love.it is also an exulted and beautifully idealistic love that in the hearts of spiritually mature. "Miss Amore AGAPE"- described as the level of love regarded as the highest and most radical and known as the unconditional love. It is the Love that accepts, forgives and believes for our greater good. For those interested, please bring swimsuit, high heels, cocktail dress.